One of the great advantages of glass floors is that they visually expand small spaces. So if you want to renew your space, and want to enlarge it, glass floors are the most appropriate solution. With our glass floors in addition to larger spaces, your space will have a modern, colorful and you can make the most of light in any type of environment, whether natural or artificial. Cvm Contractors uses 100% quality materials, with the best technology, to provide our customers with more resistant floors, easy to maintain, scratch-proof and large weights. 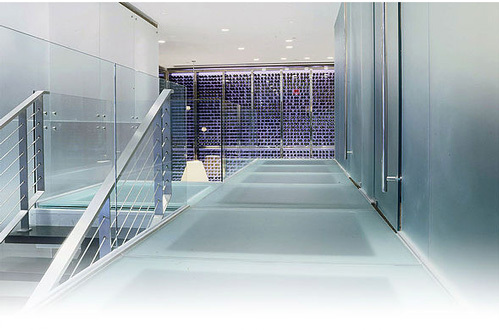 To place our laminated glass floors, we use block pavers with an aluminum grid. This is a new and excellent method encloses the sides and bottom edges of each block of glass pavement with a silicone sealant instead of the original method of using grout. The aluminum grid provides durability and reinforcement for pedestrian traffic, in addition to offering a unique element for an interior design. Our plates are available in several different options, including full transparency, to a full dark. These options provide different levels of translucency and privacy, however, natural lighting can be filtered. We have great experience in our projects and we are trained for the innovative in space renovation. That is why without any problem we can adapt our floors to other surfaces, such as wooden floors, subfloors, among others, providing aesthetics, elegance and modernity to unattractive spaces. We offer our services for residential or commercial environments, large or small with the best prices and the highest range of styles..